It’s been a number of months since I last posted and a number of things have been happening. 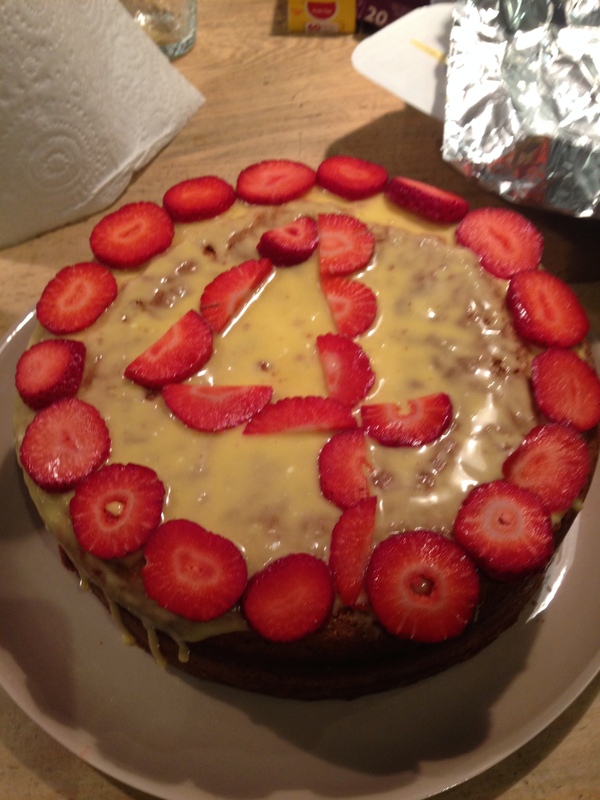 Firstly, at the end of July, Orla celebrated her 4th birthday. Her birthday this year was marked with more excitement and celebration than previous years. Orla was unaware the day was in anyway special however for the first time in Orla’s 4 years, I felt I could genuinely celebrate her birthday without a shadow of sadness cast over me. It was timely that the day prior to Orla’s birthday a bike that had been specially made for her was ready and collected. The bike was made by a fabulous organisation called Freedom wheels who adapt pushbikes for all people with special needs. The photo below of Orla on the bike was taken on a rare sunny day during Melbourne’s winter this year! Even though the past winter was extraordinary long and dreary, Orla has been remarkably well. Her ear clean out I described in my last blog served her extremely well throughout the winter and she fortunately didn’t have any ear infections. In fact, her hearing has continued to improve now her ears are clear and have remained free from fluid too. Orla’s hearing improvements are really pleasing however they have caused her distress at times when her aids remain amplified more than she requires. This impacts her mostly around children and babies as their voices and sounds are higher pitched and their nature can be more unpredictable. The fact Orla isn’t able to express that a noise is too loud for her other than through emotion also remains a big challenge. In August, Orla had a MRI of her brain and spine, the results a reminder of how insidious A-Mann can be. The main reason for the MRI was to look at an area called the cerebrospinal junction which essentially connects the spine to the base of the skull. Orla had an MRI of this area prior to her BMT which showed some narrowing therefore it needed to be checked as there is risk it could be placing pressure on her spinal cord and causing some pressure build up in her brain. Following the MRI, we were referred to yet another specialist team, neurosurgery for review. The neurosurgeons informed us that the narrowing is slightly worse and hence it will need to be monitored by an MRI every couple of years or if Orla was to develop symptoms. The neurosurgeons are hopeful the narrowing will remain the same and Orla can escape the need for surgery. Unfortunately, Orla’s brain MRI also didn’t reveal what you would expect of a 4 year old either. She has atrophy or shrinkage on her cerebellum, the area important for balance, coordination and speech. Also her pre BMT scan showed some what is known as myelination of her white matter but not as much as you would expect in a child of her age at the time. There is evidence that the white matter has grown further, which is good, but the metabolic doctors say there is no way of knowing if this is due to some enzyme getting in or it would have happened anyway. Whilst these results were upsetting initially, they do provide us and Orla’s extended team with information and consequently we are exploring adding in some additional therapy to Orla’s already busy routine, which now also includes horseriding for the disabled, to help her achieve her full potential. Orla has been making some fantastic progress with her walking in the past few weeks and months. A few weeks ago, she walked into her kinder with her walking frame and almost received a standing ovation from both the staff and other children!! Unfortunately with all the excitement and need to concentrate to assist her while feeling somewhat emotional, I forgot to capture the moment in anyway other than my memory. 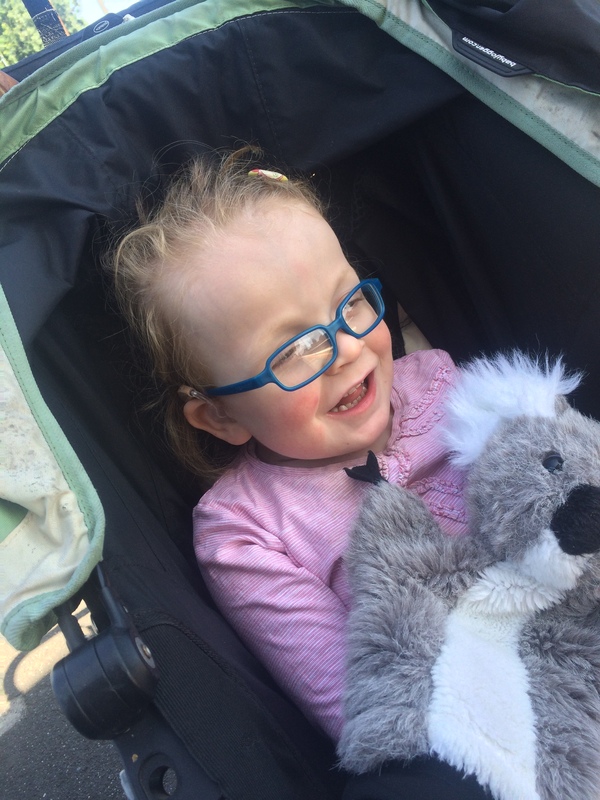 So instead, there is a photo below of Orla out for a walk in her pram accompanied by the class Koala Kurboroo who was staying with us for the weekend. And finally our other news is, in just a few weeks time, Orla will become a big sister! !